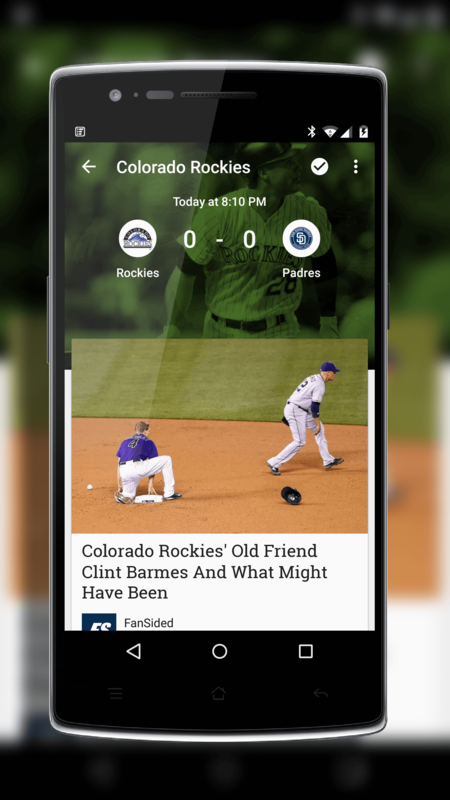 Google has dropped an update to the Google Play Newsstand app into the Google Play Store today that brings a new ability to keep track of news and scores from your favorite teams right from within the app. The update is version 3.4.4 for those keeping score at home (get it? Score? Sports? Work with me people) and is available for Android phones and tablets. If you aren’t familiar with Google Play Newsstand, it is the app that serves quite a few purposes for users. It is news collector from a wide range of sources from major news sources but also is a place where you can search specific topics and of course subscribe to magazines through the Play Store. The idea is that it is a one-stop shop for all your needs and periodicals and this update will help it achieve that goal. down to read. The news comes from a variety of sources and in my reviewing of this for my favorite baseball team (Colorado Rockies) it not only has articles about the team but their minor league affiliate teams as well. Besides the new sports pages, Google indicates that there are various bug fixes and performance improvements to this update to Newsstand. What exactly was addressed of course is not documented which is the normal course of things. Google Play Newsstand is a free app with various in-app purchases for periodical subscriptions. Tried to search “New York Mets” and didn’t get a subscribe icon.